In 2018, we commemorated some of art and architecture’s great names on the centenary of their deaths: Gustav Klimt. Egon Schiele and Otto Wagner had a huge influence on the art and architecture of their time and their vision paved the way for subsequent generations. To this day, their buildings and artistic legacy elicit our admiration and fascination. 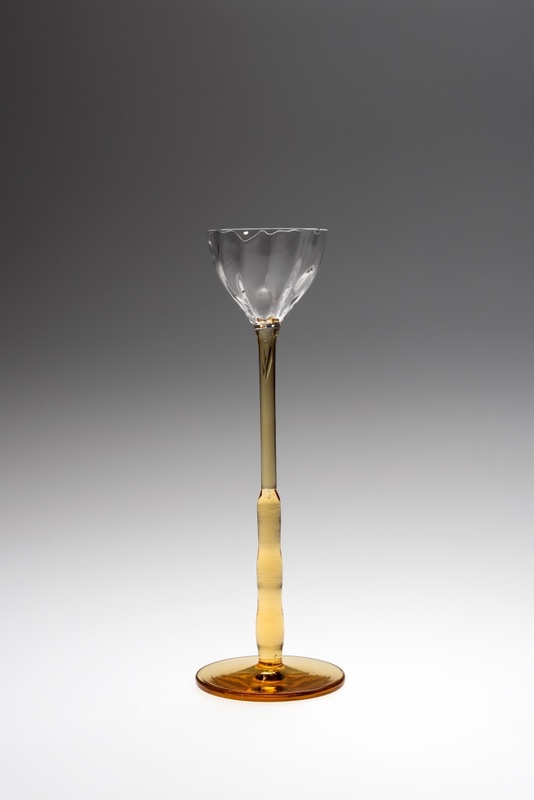 There is, however, one exceptional artist who is missing from the ranks of these masters, and this is Koloman Moser. In October 2018 he too had been dead for a hundred years. He too had a strong influence on his period, although far more widely and diversely than his contemporaries. Koloman Moser was a universal genius who preferred to work in the applied arts. The MAK has dedicated a substantial exhibition to his artworks and utilitarian objects stretching across an almost immeasurable range of interest. The exhibition is open until 22 April 2019. This is the subtitle of the major Koloman Moser exhibition at the MAK (1868-1918). The show aims to display the extensive work of the great visionary of Viennese Modernism – an almost impossible endeavour given the artist’s range and purview. The exhibition shows how instrumental Moser was in helping to shape the search for a new, modern language of design in Vienna in around 1900. Many of the 600 or so exhibits, mostly from the MAK’s own collection, are on public show for the first time. The term ‘universal artist’ is more than justified to describe Kolo Moser: painting, graphic design, the applied arts and interior design were as much part of his creative spectrum as were fashion and stage design. 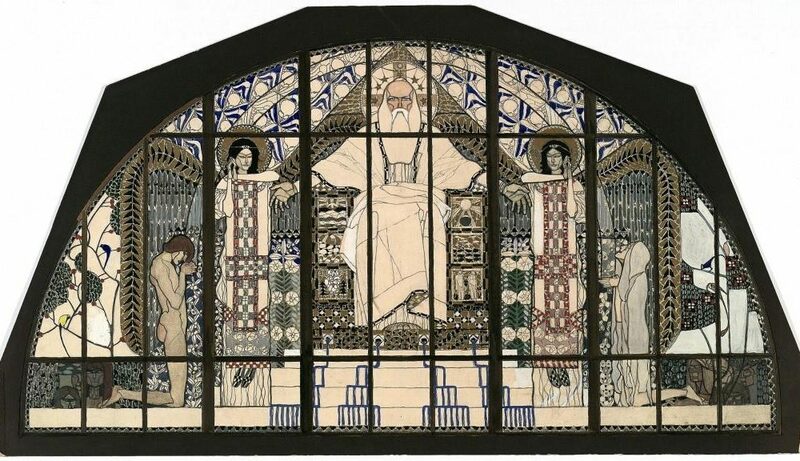 Moser embodied the idea of the Gesamtkunstwerk promoted by the Vienna Secession. He is considered one of the most important trailblazers of Viennese Modernism and one of the most influential artists of Viennese Art Nouveau. The exhibition’s first ‘chapter’, entitled Vienna as a Stage for the Arts is dedicated to the environment that shaped the young Moser. 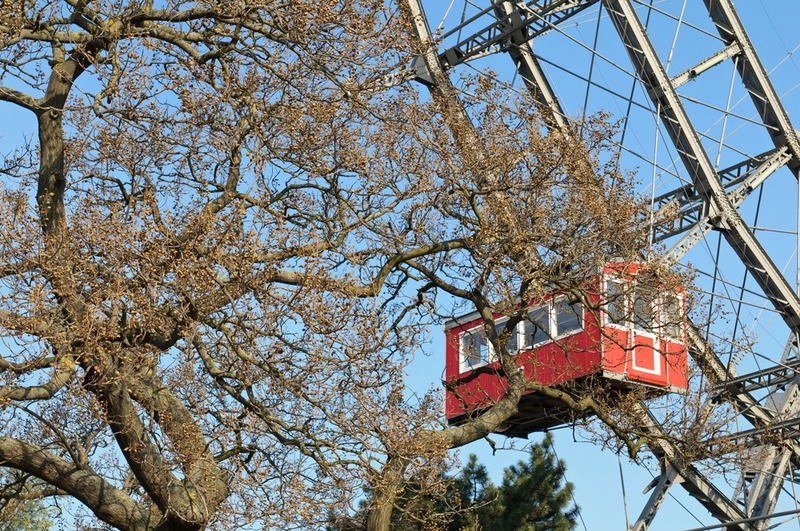 Between 1860 and 1890, Vienna underwent rapid social and economic development. As the bourgeoisie became stronger, so new fields of activity opened to the arts. Moser was particularly influenced by the overarching aspirations of historicism, architecture, painting and sculpture in the realisation of design projects. This is reflected in Moser’s naturalistic oil paintings and graphic works of the time. The second ‘chapter’, The unity of Form and Function, is dedicated to the architect and ‘father of modernism’ Otto Wagner and his influence on Moser’s career. 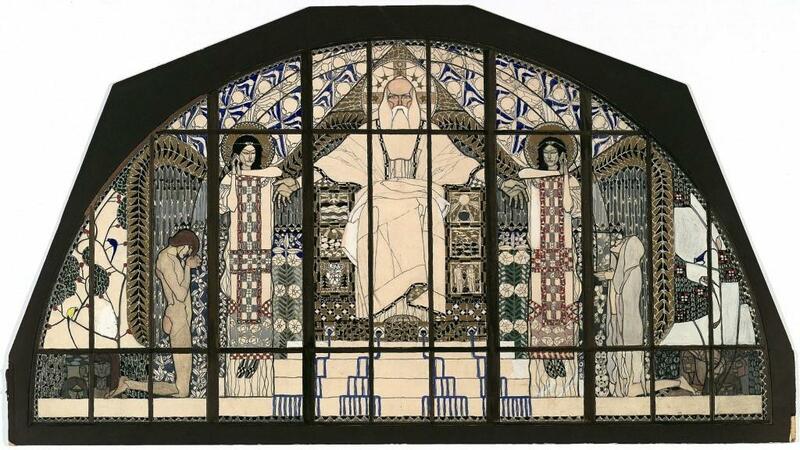 It was Wagner who coined the term ‘Nutzstil’ (functional style) (see our blog about Otto Wagner). The unity of form and function became the credo of modernism. 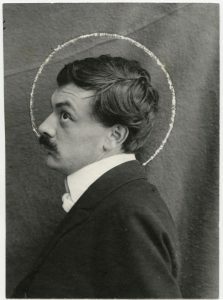 Wagner’s ideas greatly influenced Secessionists such as Gustav Klimt, Koloman Moser, Carl Moll, Josef Hoffmann and Joseph Maria Olbrich. It was also Wagner who proposed Moser and Hoffmann for professorships at the School of Applied Arts that was associated with the Imperial Royal Austrian Museum of Art and Industry. Koloman Moser’s Early Years, the exhibition’s third section, shines a light on the young Moser as a freelance artist. In 1888 Moser began to work as an illustrator for books and magazines to finance his fine art studies at the School of Applied Arts. Together with other young artists who were becoming increasingly dissatisfied with the naturalistic bent of the Viennese art scene, he joined the Siebener Club, which later became the Secession. Influenced by colleagues like Gustav Klimt as well as by Japanese art, Kolo Moser developed the Viennese Flächenkunst (surface art). The fourth chapter, The Unity of the Arts, explores Moser’s founding membership of the Secession and his development into a universal artist. Inspired by the Secession’s Gesamtkunstwerk concept, Moser focused on designing exhibitions, stage sets, interiors and fashion. 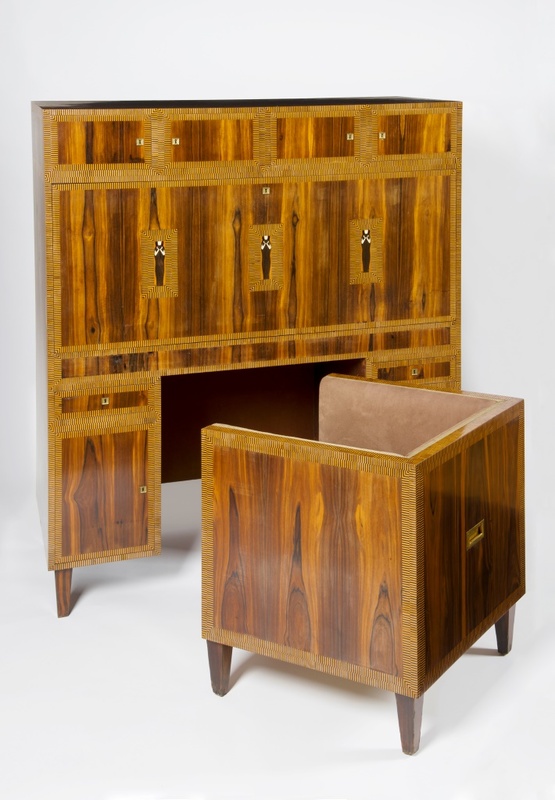 He worked with Josef Hoffmann on interior concepts, developing Wiener Raumkunst (Viennese spatial art). Around 1900, a striking stylistic turning point occurs. A flat, geometrically pared down mode of expression starts to dominate Moser’s designs; squares become one of his trademarks: the Viennese style is born. Eventually, Koloman Moser and Josef Hoffmann instituted the Wiener Werkstätte (1903) to facilitate the realisation of the Gesamtkunstwerk ideal. This section of the exhibition offers an impressive profusion of interior designs, furniture, metal objects, leatherwork, glass art and jewellery created by the Wiener Werkstätte. Increasing dependence on a small circle of patrons led Moser to leave the Wiener Werkstätte in 1907. This was the start of a new period in his artistic career in which he worked almost exclusively on paintings until his death in 1918. The final chapter of the exhibition, Farewell to the Unity of the Arts, offers an overview of Moser’s late work and return to his first love of painting. The five exhibition segments are accompanied by a richly illustrated chronology of Moser’s oeuvre – all of it against a red background and in the innermost core of the exhibition space. My conclusion: Packing all of Koloman Moser’s works into an exhibition is well-nigh impossible, but the MAK succeeds quite well and arouses our interest and desire for more. All the exhibits are impressive, from the carpet and wallpaper designs, illustrations and paintings to the exquisite furniture (the escritoire is among my favourites), glassware and – last but definitely not least – the stained-glass side window designs for the Church of St. Leopold. Tip 1: An outing to the Church of St. Leopold is a must! Admire the beautiful side windows and the whole church in situ (limited opening hours) and, in spring and summer, follow your visit with a long walk and the delights of a picnic (see our blog about Kirche am Steinhof). Tip 2: If you’d like to delve further into the work of Koloman Moser, we highly recommend the Applications – Koloman Moser and the Stage exhibition at the Theater Museum. On until 22 April 2019 and definitely worth a visit. Reduced admission with a MAK ticket. 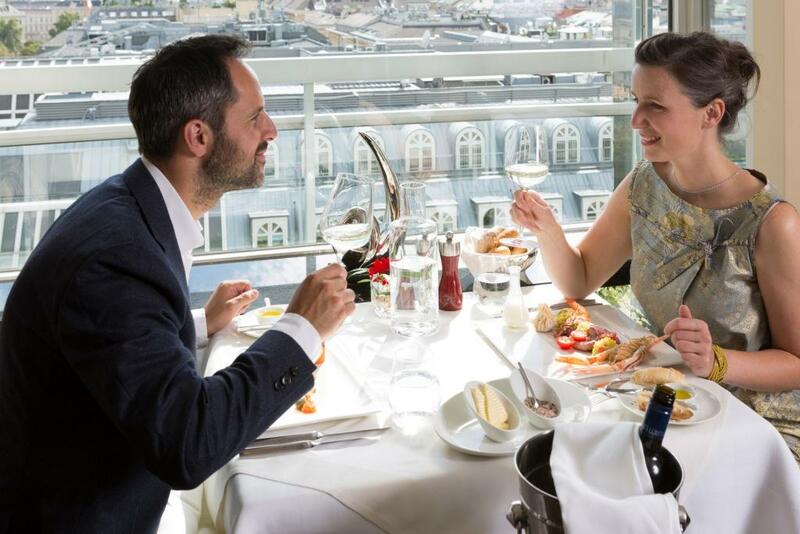 After your exhibition visit we suggest enjoying a fine meal just a few steps from the MAK at the award-winning restaurant “Das Schick”. Indulge in top level creative Austrian and Spanish specialities. The view of Vienna from the ‘Das Schick’ on the 12th floor of the Gartenbauhochhaus is simply breathtaking. Admission free for children and teenagers under 19. Thank you for the kind support.